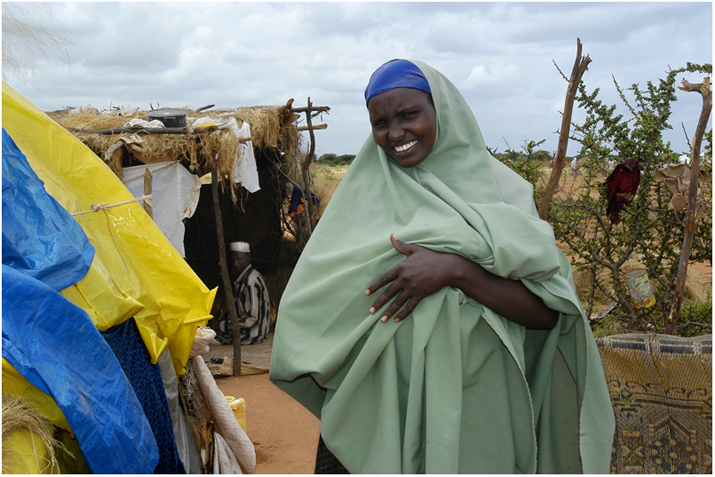 Home / IFO Refugee Camp | Dadaab Kenya / A woman carries her baby under her clothes. The road to IFO refugee camp from Dadaab. A woman carries her baby under her clothes. Caption: A woman who has been informed on the importance of breastfeeding holds her baby under her dress. Object name: A woman and her baby.